We often use S-Curves to enhance contrast. This is actually just fine if we don’t have any problem with darkened/blocked shadows or aggressive highlights. 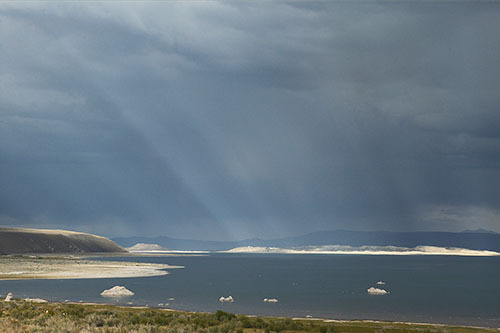 But often you want to improve the contrast without damaging the shadows and highlights. Note: For many images the differences may be subtle but still strong enough to make improvements to your images. Best you try these techniques yourself. To show the differences we use the symbol to indicate that a mouse over will show the previous or original image (move the mouse cursor slowly in and out of the image). We would like to add some midtone contrast to the above image. A good tool to use is PS Shadow/Highlight. We set all values to zero except the midtone slider. In our workflow we actually perform this operation on a layer. (We describe in our ebooks how to make use of a layer based workflow). 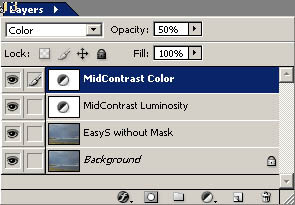 This way we can even make the contrast to strong and adjust the strength via the opacity of that layer. 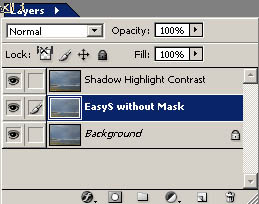 While this is a good solution it lacks the flexibility we want because Shadow/Highlight cannot be used as an adjustment layer. That is why we use a curve adjustment layer that comes close to mimic the midtone contrast in Shadow/Highlight. We lock the curve in the shadows and the highlights to protect these important areas of our image. 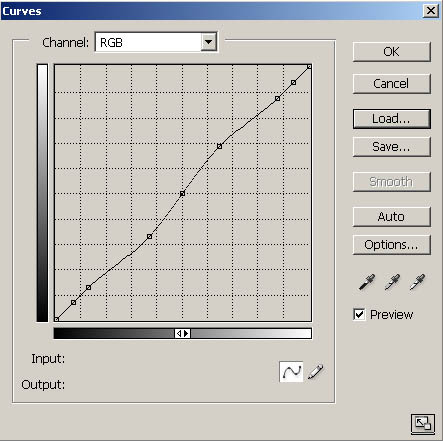 There is one general problem with using S-Curves to enhance contrast. At the same time we add contrast we also shift the colors and this may be welcome or even not. 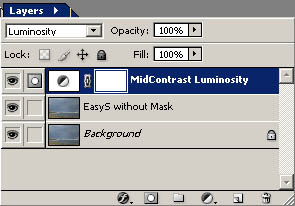 By setting the Blending mode of this layer to Luminosity we avoid this shift. Often the truth is that you may like some of the color shift but not all of it. This is not to difficult to achieve. 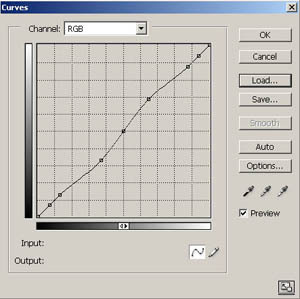 We duplicate the curves layer and set the copy to Blending Mode “Color”. 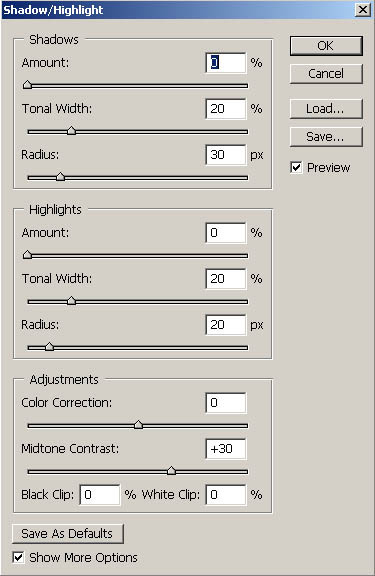 Now you can control the color shift by setting the right opacity (we used 50% in our example).